This time of year, gardeners count down to their final tomatoes and artists capture the last blooming zinnias. But the season will extend into fall and winter with The Tull Family Theater’s Cultural Screening series. 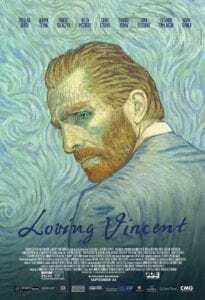 The series will offer films that combine art and the beauty of gardens, and bring back Loving Vincent, the Golden Globe winning, Oscar-nominated animation done in the style of Van Gogh’s own works, with prominent cornfields and sunflowers. A Phil Grabsky documentary of how American artists, 1887-1920, grabbed onto the impressionism style that Europe initially rebuffed and made it their own. The timing coincided with the dawn of the Industrial Age, reformers fighting for green spaces near smokestacks and a new independence among American middle-class women. 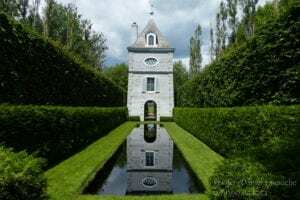 Thursday, Oct. 4, 7:30 p.m.
Part travelogue, part artistry, this Sebastien Chabot documentary carries viewers to Quebec City’s Charlevoix region and Les Quatre Vents—a magnificent, private garden. Loving Vincent, the award-winning 2017 animation, generated buzz with eye-popping oil paintings rendered in the style of Van Gogh himself. In addition, the voices feature stars familiar to some patrons through other films at the theater: Saoirse Ronan (Ladybird), Chris O’Dowd (Juliet, Naked) and Douglas Booth (The Limehouse Golem). Thursday, Nov. 1, 7:30 p.m.
Tickets for these shows and the entire end-of-year special programming lineup are available in advance online or at the theater during box office hours.